We took a long weekend and headed out early Thursday morning to Salt Lake to spend Rudi’s mom’s 80th birthday with her. While she is fine with other people’s birthdays, her own birthday holds some painful memories, so she likes to keep it low-key. We celebrated with a tour of her garden (she’s finally had some help with it this summer), a pizza dinner, episodes of Midsommer Murders, and a trip to the grocery store. Rudi’s mom needed to stick close to home on Friday, but urged us to head up to the mountains, before joining her for supper. Rudi mentioned a rapid-fire tour of 45 or so mountainous areas, but I had a destination in mind — Silver Lake. Margene has shown so many photos of it that it’d grown to rather mythical proportions in my mind. 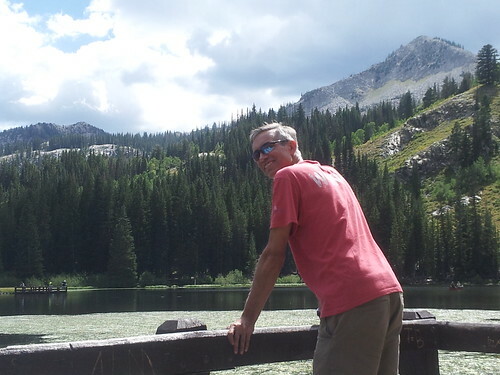 Rudi agreed that was a pleasant and worthy visit, and it did not disappoint, with an easy raised walkway around the perimeter of a picturesque, shallow mountain lake and through its surrounding wetland. I’d hoped to see either moose or beavers, since both frequent the area, but had to content myself with a mule deer and a frog and lots of anticipation at what the various rustlings might be. We did see signs of moose, both there (wallows in the wetland grasses) and higher up in the mountains of Brighton (tracks — impressively large; I also saw a couple hawks, including one quite close up). We swam in the hotel pool, visited several coffeehouses (including one where I ate a very tasty crepe cake), sampled local sodas, and watched the sun rise on Saturday, something I never see except when traveling. We returned home yesterday just as the sun was setting, and spent today recovering (Rudi’s recovery of a 60-mile bike ride is far more active than mine). I hit the farmers market, chatted with my folks on the phone, went to the garden, sat in the park, and finished reading a book. All in all, a pleasant way to spend the final weekend of August. 1. The Grand Canyon from 33 thousand feet, all pink & beige & craggy. 2. Seeing a rainbow is beautiful in its own right, but looking down on one from above is amazing. 3. My volleyball team went out for drinks, and the bar had a whole selection of virgin ones. I opted for their plum soda. Bout of Books 14 wrapped up Sunday night, and I consider my participation a great success. 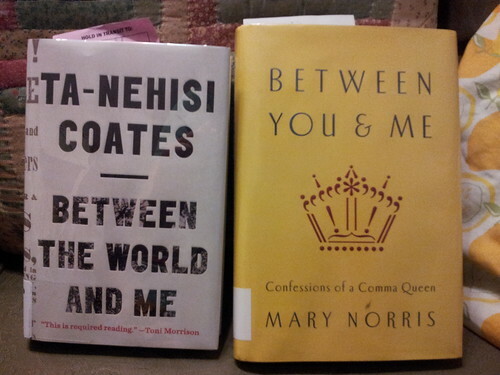 I read every day last week, finishing three books in various states of progress and read a couple chapters in a fourth. Because everything was already partway through when the week began, I don’t have a complete tally of pages read, but I’d guess somewhere in the 600+ arena would be about right. I read two chapters of Unrivaled, about the UConn-Tennessee rivalry in women’s basketball. I raced through Circus Mirandus, a charming middle-grade novel about a boy whose seriously ill grandfather needs a miracle promised long ago by a magical circus performer. 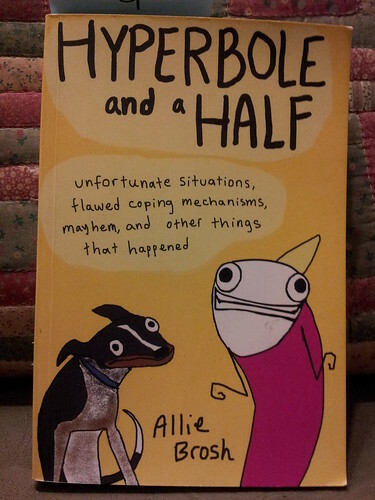 I completed Hyperbole and a Half, Allie Brosh’s illustrated/graphic memoir/essay collection. And I finally, after having it out of the library for seven months (thanks, DCPL’s generous new renewal program), finished the final few chapters of Signed, Sealed, Delivered, a look at the merits of letter-writing. Out of the pages, I participated in both Twitter chats and a blogging challenge and enjoyed considering my answers to several others I didn’t write early enough. 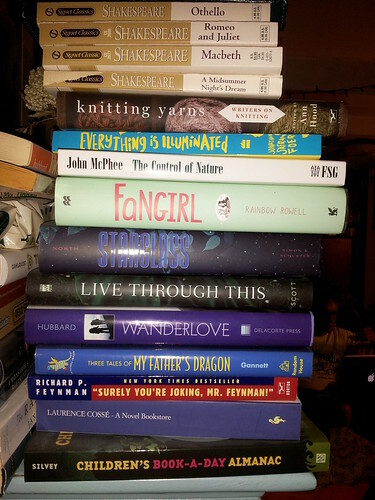 I didn’t quite get two bookish posts in last week, but one progress post and a wrap-up post is better than the last Bout I took part in. I look forward to participating again in January and hope you’ll consider doing so, too. Category: books. 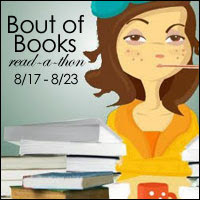 There is/are Comments Off on bout of books: wrap up. 1. A box truck is taking up the car lane and half of my bike lane. When we reach a red light, I move up past him and gesticulate wildly (but politely) to show him that he was invading my space. Normal behavior would be for a driver to pass me and then (maybe) half a block later resume the same behavior. This truck stayed out of the bike lane as far as I watched him. Later, I was on the bike path and instead of going around me without notice, a cyclist announced he and a mate would be going by after a jogger running the other way passed. 2. Earlier in the summer, a friend new to gardening asked my advice about herbs he’d planted that weren’t doing well. From his description (and my subsequent Googling), I suggested it was either something minor or a fatal illness. This week, he shared the bounty of his basil plants to thank me for giving him ridiculous and unhelpful plant diagnoses. 3. My volleyball team, having only won two matches during the regular season, did not have high hopes for the post-season. But we beat two teams (including the #1 seed) to get to keep playing next week. Category: three beautiful things. There is/are Comments Off on positive cycling interactions, basil, and winning. I resumed reading Hyperbole and a Half by Allie Brosh. I read 80 pages, but it’s a graphic memoir, so that’s less impressive than it sounds. 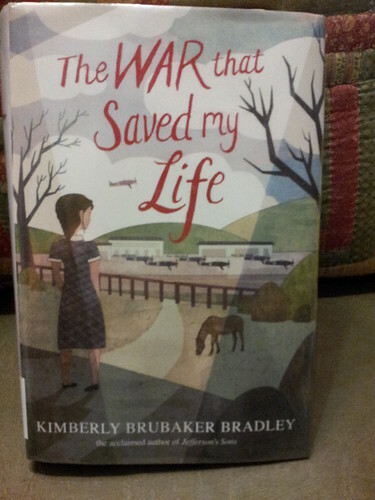 I also participated in the first Bout of Books Twitter chat. It was a lot of fun, and I was better this time at interacting with others, rather than just answering the questions, during the chat than I usually am. I’m supposed to be working a shift at the garden Saturday morning, when the next chat is, so that may be it for me in a “formal” Twitter capacity. 4. Books from your favorite genre! The Shakespeare at the top is technically Rudi’s (and I’ve read all four). I’ve read Fangirl and My Father’s Dragon. The rest are all TBR. Category: books. 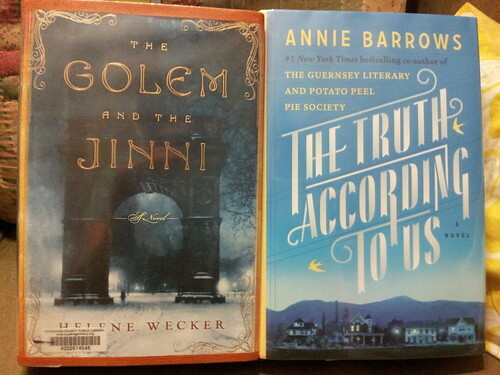 There is/are Comments Off on bout of books: day 1. It’s Bout of Books time again. I participated in January and May (with much reading and mixed blogging success) and am looking forward to reading and playing along again this week. What’s Bout of Books you ask? Also, I’d also like to participate in at least three of the challenges/chats. They’re fun and build community, and since I haven’t been writing as much about books the past couple years, it would be good to get it in where I can. It’s not to late for you to join: sign-ups run through midnight tonight EDT.